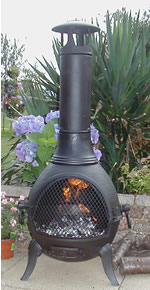 Our Algarve 2 in 1 cast iron bbq chimeneas are one of our most popular models. 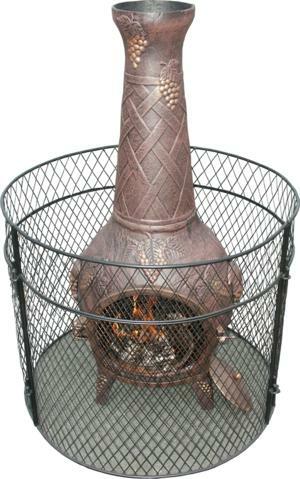 Featuring a generous (removable) 12" diameter swivel out BBQ grill, carrying handles, cast iron chimney & chimney cowl. 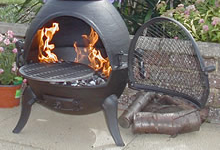 The perfect partner for outdoor warmth and entertainment. 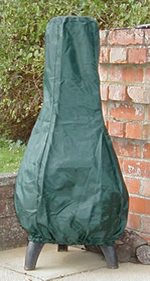 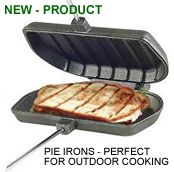 Large Deluxe cover £11.95 when ordered with a chimenea.